Young or young at heart, it doesn’t matter. There’s a wealth of collectors of all ages, from all countries and backgrounds. Some people begin collecting as toddlers. Most collect until the day they die. You can collect stamps from any country depicting any topic. You can collect contemporary stamps, and even stamps from the time of Queen Victoria, and the United States Civil War. You can collect them mint (never used) or used. There are so many different ways to collect stamps, the possibilities are endless. The most common way to start a collection is to clip the stamps off letters you receive in the mail. This is a great way to begin a simple collection. If you don’t receive much mail or rarely find a stamp on your mail, ask friends or co-workers to save stamps for you. You’d be surprised how many stamps your friends and relatives can save for you, especially if they get a lot of mail. 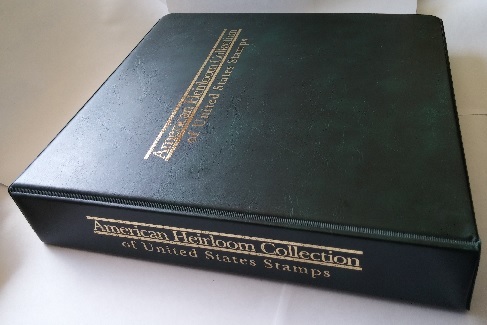 I was able to add a large variety of stamps to my collection using this method. If this isn’t enough, which at some point will likely be the case, you can delve deeper into the collecting world by looking for stamps on the internet. Without a doubt, eBay is your best option, as there is a vast amount of stamps available for sale at all times. I almost exclusively purchase stamps from eBay for this reason. eBay is not, however, the internet’s “one stop stamp shop”. There are loads of other websites selling stamps, many of which are definitely worth checking out. One in particular that offers tons of stamps for sale from a variety of sellers is Stamps 2 Go. You can literally find just about ANY stamp for sale on there, and most of them are very reasonably priced. Although the internet is an excellent, and in my opinion the best place to find stamps, there are other good places to look as well. Brick and mortar stamp shops are a fantastic place to buy stamps, since you get to personally meet and speak with the seller. You can also view the stamps for sale in-person, which you can’t do on the internet. Garage sales, flea markets and antique stores are other good places to look for stamps. I once found an incredible deal at an antiques store, because the seller was unaware of a certain stamps’ value. Just keep your eyes out, and you’ll be sure to find something worthwhile. Your stamps need a good home – a place where they’ll be safe but easily accessible. A stamp home generally consists of an album, some album pages, and hinges or mounts. Stamp albums are basically very sturdy three-ring binders, but designed for accommodating stamps. You can use three-ring binders if you prefer; it’s not a requirement to use an album specifically designed for stamps. Album pages are usually made of thick paper or card stock. These are where you display your stamps in an attractive arrangement. Most album pages have a predesignated spot for every stamp. Many even display illustrations of all the stamps (like the ones shown above), making it easy to find the right places to mount (or hinge) your stamps. These are especially helpful when you don’t have access to a stamp catalog, because all you have to do is find the illustration that matches your stamp, then secure your stamp on top of the illustration. “Stock sheets”, shown above, are another type of album page. 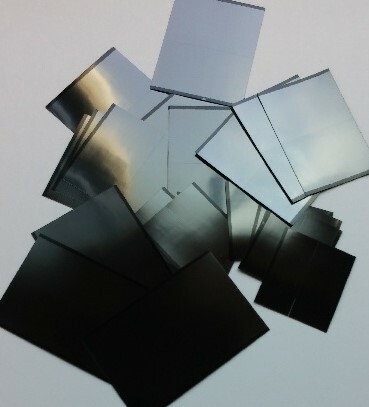 These are sturdy, black sheets with several rows of transparent sleeves. These are nice because you don’t have to invest in stamp mounts or hinges. They are also very easy to use, and you can organize your collection however you want. You aren’t restricted by preassigned spots for your stamps like other albums. 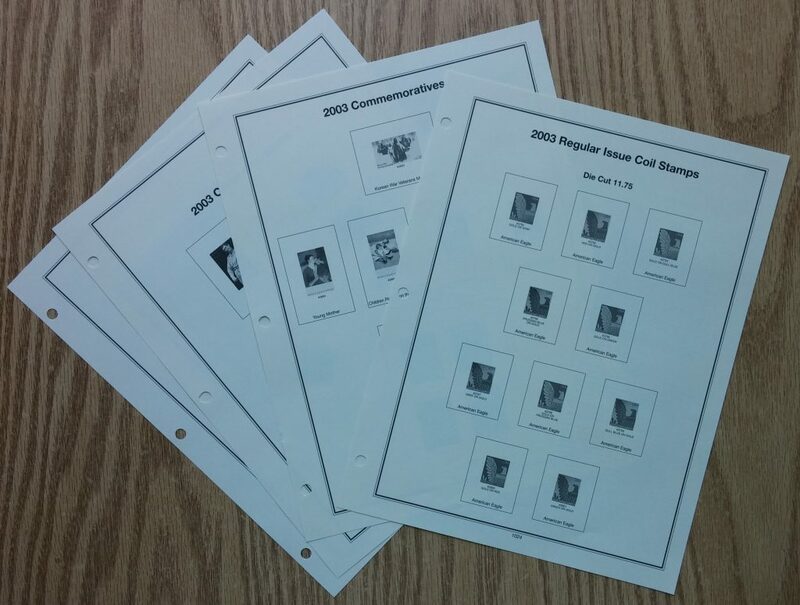 Stock sheets are also far more affordable than regular albums, and they can be placed in almost any kind of binder. With stock sheets, you are basically free to do whatever you want with your collection. Stamp mounts and hinges are both used to secure a stamp to an album page. Hinges are the cheapest option, but they can decrease the value of your stamps. They leave a mark on the back of stamps, and if you remove them improperly, they can tear a portion of the stamp, causing a major fault. Mounts, on the other hand, keep stamps safe and sound, but they are a little more expensive. On previously hinged stamps, or stamps that don’t carry any monetary value, I will use hinges. But for never hinged stamps or even hinged but valuable stamps, I always use mounts. You now know how to acquire stamps. You also know where to put them. But what’s next? 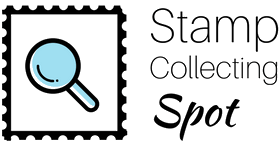 I can assure you, there is so much more to learn about stamp collecting. My suggestion is that you immerse yourself into the stamp world by reading sites like this one, hanging out on stamp forums, and asking lots of questions (which you can do right here!) Knowledge is power in this hobby. Keep this in mind as you pursue the wonderful world of stamp collecting. Previous PostWhat is Stamp Collecting?